MediaStreet has created a power portal for professional photographers, and world-famous artists, such as Thomas McKnight, to upload images so they can get exposure on coffee tables, office desks, night stands, home shelves and mantle-pieces throughout the world. Professional photographers such as Nautical photographer Bill Kinney, and nationally recognized Steve Thornton for his acclaimed "Cowboy-themed" images allow consumers to enjoy their photographs to be viewed on the coolest new Digital Picture Frame devices by Media Street. If you like an image and would prefer a hard-copy to hang on your wall, simply select BUY Print to order the image on Real Canvas or Fine Art Paper. MediaStreet Inc., a leading manufacturer of archival-quality inks with matched inkjet media and other innovative, digital solutions for the photographic, music, arts and consumer electronics industries, is thrilled to announce that its power portal of free photographic and art images has surpassed the 1000 image mark. There are now over 1000 free (and growing daily) professional photographic and art images available for immediate download and enjoyment on today's hottest consumer electronic category, the Digital Picture Frame. MediaStreet has announced 3 new eMotion Digital Picture Frames so far during the summer including a new Bluetooth enabled version, a large 15 inch screen version and the hottest looking digital frame with a glowing ambient blue light around all edges. eMotion Digital Picture Frames range in size from 1.5" up to 15" and offer a variety of functionality including playing your digital photos, art, music and movies. If you visit MediaStreet power portal http://MyDigitalContent.com every day you will never get bored of the content that you can grab and enjoy for free. You will discover incredible images by the world-renowned artist Thomas McKnight. You will find colorful images saturated with the great outdoors themes from professional photographers such as "The Cowboy Photographer" Steve Thorton, as well as spectacular Nautical images by the acclaimed photographer Bill Kinney. You will discover images of still-life, movie stars, birds, flowers, boats, mountains, light-houses, beaches, sunsets, sports, automobiles and so much more. "We are so interested in offering the most incredible images for our eMotion Digital Frame customers, not only to enjoy viewing these stunning images between viewing their own personal images of their pets and children and holiday photos, but also to help create awareness of the photographers and the artists we work with everyday with our specialty archival Ink and Media solutions," exclaims Norm Levy, president of MediaStreet. If listening to music and watching music videos is more of your appeal for the day, click on the music tab and grab the funkiest and most contemporary Hip-Hop by musicians such as Kyle Jason, The banned, Se7enth Octave, Public Enemy, DMC and more. If you want to enjoy animated videos that are created for eye-candy appeal, click on the eyecanD tab and download animated shorts at anytime. "Whether you are interested in grabbing and enjoying stunning and incredible digital files to enjoy on your Digital Picture Frame, or Plasma TV, or if you are a photographer or an artist that would like to participate, for exposure, for fun, for differentiation, for profit and for special benefits, please come to http://MyDigitalContent.com often to help make it a destination for the most intriguing, compelling, sought-after digital content on the internet," shares Asia Lee, Sales & Marketing Director for the eMotion Electronic line for MediaStreet. 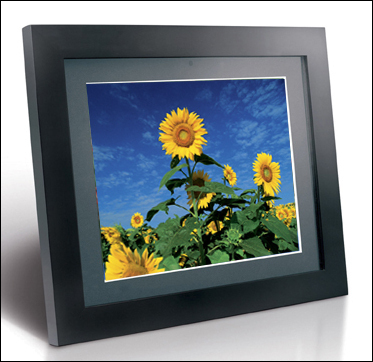 MediaStreet, Inc. is a leading manufacturer of digital photography solutions for hardcopy prints and the viewing of digital photographs with its award-winning line of eMotion Digital Picture Frames. Among the company's unique advances is the marriage of digital content to its digital convergence electronics with the formation of two power web portals; one for professional photography to be enjoyed on its eMotion Frames http://MyDigitalContent.com and the other, http://Beyond.fm , to find intriguing music, videos and radio casts all of which can be played on the growing line of eMotion electronics including (musician) branded eMotion MP3 MP4 PMP DVD and Digital Picture Frame products..